The deterioration of teeth is often an unavoidable consequence for many. Even those with the best hygiene habits suffer from an eventual buildup of plaque, tartar, and wear and tear of the teeth from everyday use that can result in the need for a filling. 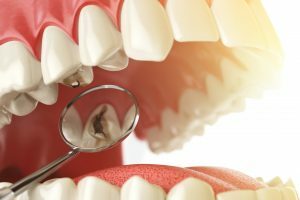 At Severns Dentistry and Orthodontics, we offer tooth fillings in McMurray to help you restore your teeth to their full functionality and shape for a confident smile. A tooth filling is commonly used to treat a cavity, but they can also be used to repair teeth that have worn down over time due to everyday use or to repair teeth that are broken or cracked. If the tooth decay or crack has damaged most of the tooth, a cap or crown may be recommended instead. Only a dentist can determine if you have a cavity that needs to be filled. During your checkup with a dentist at our McMurray office, we will closely examine the surface of each tooth for cavities or other damage that may require a filling. Typically, we conduct an initial examination, including x-rays, to determine which fillings are the most effective form of treatment. No one else but you should know that you have a filling. Our natural, tooth-colored fillings are completely discrete and blend seamlessly with the surrounding tooth structure. This allows you to feel completely confident showing off your smile in all situations. During the procedure, the decayed or damaged portion of the tooth is removed. The hole is then filled with durable and discrete material, restoring the structure and function of the tooth while also preventing bacteria from entering the tooth. By removing the damaged portion, your tooth is protected from further damage. Our expert team will work to ensure you are comfortable before your appointment and throughout the entire procedure and will be happy to answer any questions you may have. Contact Severns Dentistry and Orthodontics today to schedule your appointment!